Snoring is a sign of something going out of order within our organism or is simply a bad sleeping habit caused by the position of our body that can trigger diseases like hypertension, heart problems or diabetes. Although, snoring may be considered a sign of a deep sleep, the truth is that snoring forbids us from taking a good rest. And what is even more serious, it forbids people around us, resting too. Snoring is a vibration sound caused by two or more elements in our oral cavity (soft palate, uvula, tongue, throat tonsils and/or muscles) rubbing one against each other. Some ways to correct this flaw are surgeries, wearing medical devices, but as you can imagine this is not very comfortable, not to mention the related costs. One of the cheapest and easiest ways to fix it is represented by the exercises to stop snoring. Strengthen your tongue. Like any muscle, our tongue needs exercise to stay fit. One of the most effective exercises to strengthen your tongue consists in sticking it out tightly and trying to touch, one after the other, your chin, and your nose your left and right cheek. Work on your throat muscles by pretending you are in front of a photo camera. Say “Cheese” and keep a smile on your face for about five seconds. Repeat for a few times more. It is not only one of the easiest exercises to stop snoring, but it will also help you unwind a little, by forcing you to smile. Loosen your jaws. 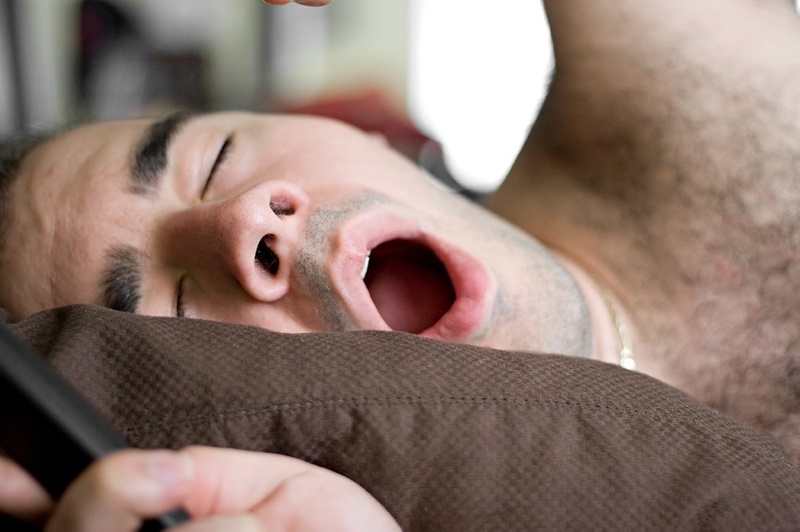 Tensioned jaw muscles can lead to snoring. Help them loosen up by opening your mouth and keeping it like this for about 10 seconds. Repeat the exercise ten times per day. Keep you facial muscles fit with the following exercise: Strip your lips as if you were preparing to give a kiss and remain like this for 10 seconds. Repeat the exercise 10 times per day and after a few days your sleep can improve. One of the simplest exercises to stop snoring is to pretend you are chewing gum for one minute, every day. It is very effective because it impacts several groups of muscles: mouth, tongue and jaws. Could you believe that singing would help you stop snoring? Work on the vocal cords like a professional singer, by singing “La-la-la-la-la” on the tip of the voice and holding the last sound high for about three seconds. Repeat the exercise at least three times per day. It is one of the funniest exercises to stop snoring, but it is also very useful because it will strengthen your throat muscles, if it is pursued with perseverance. Following these tricks is easy and costs only a few minutes of your day. But the long term results can make a big difference in your life and the life of people around you. Bear in mind though that, if they are not associated with a healthy nutrition and lifestyle, these exercises to stop snoring loose a significant part of their efficiency.